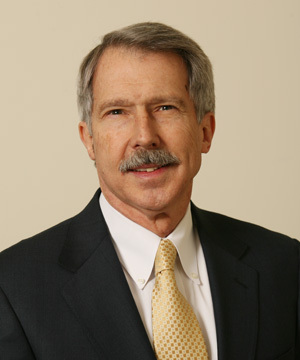 Ron Carson joined the Council on Postsecondary Education in 1999 as a Senior Fellow & Legislative Liaison, working as a part-time employee primarily on budget and legislative issues. Prior to joining the Council staff, he worked for 27 years in the state budget office, serving as deputy state budget director for five governors and as a budget analyst during the administrations of two governors. He has served as president of the Kentucky chapter of the American Society for Public Administration, as chair of the board of directors of the Kentucky Long-Term Policy Research Center, has participated in Leadership Kentucky, and has been voted life membership in the National Association of State Budget Officers. He served for three and a half years in the U.S. Navy as a communications officer aboard the aircraft carrier USS Franklin D. Roosevelt, where he was responsible for top-secret control and crypto security and attained the rank of Lieutenant (j.g.). He holds degrees from Centre College, the University of Kentucky, and the University of Southern California, and participated in the Senior Executives in State and Local Government program at Harvard University’s John F. Kennedy School of Government. He taught the Martin School’s public budgeting class for several years in the late 1970s with Dr. Merl Hackbart, and has been involved with the School since that time. Originally from Louisville, he has lived in central Kentucky for over forty years.